Social Security: A Bond in Your Asset Allocation? One question I get from time to time is how Social Security or pension income should affect your asset allocation. Specifically, should it be counted as a large bond holding? Yes, Social Security and pension income are predictable in much the same way that income from a bond is. And yes, all else being equal, an investor with a pension can probably take more risk in his portfolio than an investor without a pension. That said, there are some meaningful differences between Social Security and a giant bond holding. For example, you can’t sell your “Social Security bond.” Among other things, this means that you can’t rebalance back and forth between a “Social Security bond” and a stock fund in the same way that you could with real bond holdings. Determine how much money you’re going to be spending each year during retirement. From that, subtract any part-time job or business income you expect to earn. From that, subtract your Social Security and pension income to determine how much income you will need from your investments. Divide that number by the size of your portfolio to calculate your required withdrawal rate. Choose an asset allocation that you believe will best satisfy that withdrawal rate. This way, rather than counting Social Security and your pension as liquid, tangible investments (which they aren’t), you’re counting them as income sources (which is what they are). In case you aren’t convinced, let’s take a look at how counting Social Security income as a bond could cause some problems. Let’s imagine that you get $20,000 per year in Social Security income and $20,000 in pension income. If we were to count those income streams as bonds and we assume the bond has a 4.07% interest rate (that of a 30-year T-Bond at the moment), they’d be worth a total of $982,800. $0 in bonds; $450,000 in stocks (because social security and pension income would more than satisfy the entire bond allocation). In other words, in such a scenario, if you count Social Security and pension income as if they were bonds, you’d be going into retirement with all of your investable assets in stocks, and you’d be using a 100% stock portfolio to satisfy a 4.44% withdrawal rate. Yes, if things go your way and the stock market performs well when you need it to, your plan would work out OK. But it’s far from a sure bet. Instead, count the income streams as an offset to your expenses, then ask yourself what allocation you should use to satisfy the necessary 4.44% withdrawal rate. 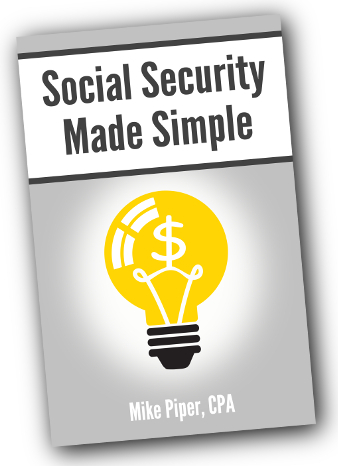 "An excellent review of various facts and decision-making components associated with the Social Security benefits. 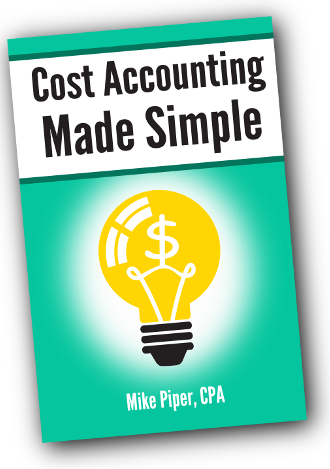 The book provides a lot of very useful information within small space." Life Insurance in Retirement: Do I Need It? Life insurance is often thought of as something for younger investors–a way to take care of your children once you’re gone. By the time you’re retired and your children are out on their own, you don’t need life insurance anymore, do you? Will You Earn Any Income? If you’ll be earning income during retirement (through part-time work or running a business, for instance) and somebody other than yourself will be dependent upon that income, you will need to have life insurance to provide for them in case of your death. Similarly, if you have a pension and somebody else is dependent upon that income, you’ll need to carry life insurance–unless, of course, the dependent is your spouse and your pension provides a surviving spouse benefit that’s sufficient to cover his/her needs. The goal of owning life insurance in retirement is obviously to provide enough money to allow your spouse or other dependent(s) to continue their lives without having to undergo a decline in standard of living. In many cases, the simplest and safest way to achieve this goal is to plan to buy a single premium immediate annuity that will replace the lost income. For example, imagine that you have a pension that pays $40,000 per year, but will only pay $20,000 per year to your spouse after your death. In that case (assuming your spouse is the only other person dependent upon this income), you’d want to have enough life insurance to cover the purchase of an annuity paying $20,000 per year for the remainder of your spouse’s life. Possible exception: If you think your spouse’s expenses will be significantly lower than your combined expenses, you can get away with somewhat less life insurance. It’s worth noting that (whether you plan to buy an annuity with the insurance proceeds or not) the amount of insurance you need will decrease over time as the remaining life expectancy of your spouse–or other dependent–decreases. If, by the time you retire, the overwhelming majority of your financial assets are in the form of cash or other investments, then (estate planning aside) you probably won’t need life insurance during retirement. If, on the other hand, you’ll be earning an income during retirement, and somebody else will be dependent upon that income, life insurance will be an integral part of your retirement plan. 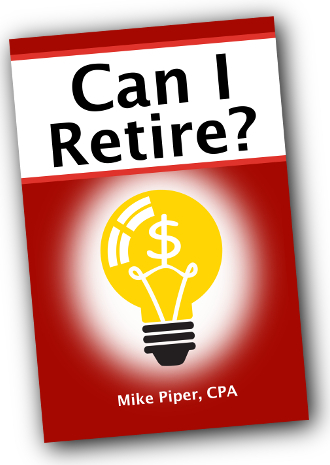 "Hands down the best overview of what it takes to truly retire that I've ever read. In jargon free English, this gem of a book nails the key issues." For the most part, people are risk averse. We prefer not to take on any additional risk unless there’s an increase in expected return. On occasion, however, we’re not risk averse. We’re risk seeking. When we go to a casino or play the lottery, we’re taking on risk despite the fact that our bets have a negative expected return. Why? Because in some contexts, risk is fun. It’s entertainment. But what does this have to do with those of us who are buy and hold investors, who have no interest in picking stocks? In short, we may want to attempt to avoid investments that carry a high entertainment value. The most obvious examples of such investments are penny stocks and IPOs. Because so many people use them like lottery tickets, their long-term historical returns (as a group) are rather low, despite their high risk. Further, some experts–William Bernstein in The Investor’s Manifesto, for instance–argue that a part of the reason for value stocks having slightly higher historical long-term returns than growth stocks is that growth stocks (especially small-cap ones) carry a higher entertainment value than value stocks. In other words, it’s fun to try to pick the next Microsoft or the next Google, so many people try to do exactly that. And in the process, they drive prices of small-cap growth stocks upward and returns downward. The natural response, of course, is to actively seek to make your stock portfolio as boring and unglamorous as possible. The less popularity or entertainment value an investment has, the better. A Roth IRA is not an investment. Rather, it’s a type of investment account, in which you can invest in any number of different things (stocks, bonds, mutual funds, etc.). What’s unique about a Roth IRA is that you are not taxed on the interest, dividends, or capital gains in the account. Provided that you meet a few requirements (discussed below), everything that comes out of a Roth IRA is tax-free. Note: This is in contrast to a traditional IRA. With a traditional IRA (if you meet certain requirements) you receive a deduction when you put money in, but everything is taxable as income when it comes out. Related resource: Tax Diversification Roth IRA vs. Traditional IRA. There are numerous brokerage firms with which you could open a Roth IRA. For the most part, where you open an IRA won’t have much impact on what investments you have access to. As a result, I’d suggest focusing on low costs and good customer service. My suggestion for most circumstances is Vanguard. You can see my Vanguard IRA Review here. If you’re single, you can make a full contribution to a Roth IRA if your 2010 Modified Adjusted Gross Income is less than $106,000. If you’re married filing jointly, you can make a full contribution to a Roth IRA if your 2010 Modified Adjusted Gross Income is less than $167,000. A Roth IRA conversion occurs when you take money out of a traditional IRA (or other tax-deferred IRA, such as a SEP) and move it to a Roth IRA. Depending upon a few factors, such as how you expect your tax bracket in retirement to compare to your current tax bracket, this move may save you a good deal of money. With the exception of amounts converted from a traditional IRA, contributions to a Roth can be withdrawn free from tax and penalty at any time. To avoid penalty and tax on withdrawals of earnings, you’ll have to jump through a few hoops. 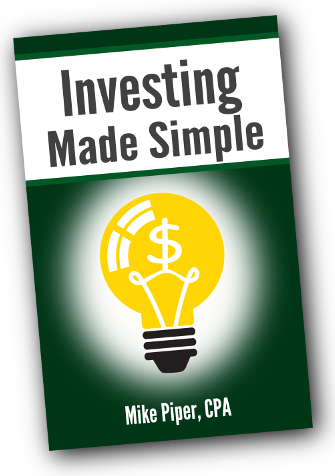 Is Simplicity Overrated in Investing? If you don’t have a rock-solid understanding of your investments and investment strategy, your exposure to both scams and costly mistakes goes up dramatically. That said, simplicity sometimes comes with a cost. In such cases, you have to ask: Can I afford it? Target retirement funds are the simplest way to put together a diversified portfolio. But they come at a cost. At many fund companies, the target date fund includes a level of costs in addition to the costs of the underlying funds that it owns. In other words, you’re explicitly sacrificing returns in order to have the fund manager rebalance between the funds for you. And even at those companies that don’t charge an additional layer of expenses for their target funds (Vanguard, for instance), you take on an additional level of risk by using a target date fund. Specifically, you take on the risk that the fund manager will change the “glide path” without you realizing it. If you don’t pay attention, your portfolio could end up with a very different asset allocation than you’re expecting. Is it worth taking on risk (and, depending on the company, additional costs) in order to have a simpler portfolio? A total bond market index fund. Of course, by doing so, you’ve taken the number of funds in your portfolio up from three to six or more. Although, as Larry Swedroe has argued in defense of his 11-fund lazy portfolio, if you’re only rebalancing once per year, adding more funds doesn’t increase the workload by that much. In this case, I’d vote for better diversification rather than a simpler portfolio. I’ve been writing a lot about single premium immediate annuities lately. In part, it’s because I think they’re an extremely useful tool for retirement planning. But it’s also because I suspect that one of the reasons many people stay away from annuities is that they just don’t understand them. And that makes sense. Not understanding an investment is a good reason to refrain from buying it. It’s not, however, a good reason to refrain from learning more about it. What’s the value of simplicity? All else being equal, I’ll vote for the simpler option every time. But the more I learn about investing, the more I realize that simplicity often (though certainly not always) comes with a cost–whether lower returns or higher risk. And I find that the price I’m willing to pay solely in exchange for simplicity is actually rather low. A reader recently informed me that I was wrong about the commission per trade for ETFs at TradeKing. She told me that she’d been buying ETF shares for the last several months and they’d been charging her $14.95 per trade rather than $4.95. Turns out she was using the wrong ticker symbol. She thought she was buying Vanguard ETFs (for which TradeKing charges $4.95/trade), but she was actually buying shares of Vanguard index funds (for which TradeKing charges $14.95/trade). For example, she bought Vanguard Total Stock Market Index Fund (VTSMX) rather than Vanguard Total Stock Market ETF (VTI). End result: She blew through $150 on completely unnecessary commissions. And for her troubles she’s left with the version of each fund that carries higher ongoing annual expenses. Lesson: Make sure you’re buying what you think you’re buying! The ticker for an open-end mutual fund is usually 5 letters, ending with an X. The ticker for an ETF is usually 2-4 letters.